Palestinian Authority (PA) security forces on Friday evening handed over a Jewish settler to Israeli Occupation Forces (IOF) after he was lost in Abu Dis town near Occupied Jerusalem. Palestinian youths in Abu Dis torched the car of the lost settler and banned him from leaving the town. Meanwhile, IOF soldiers intervened and clashed with the youths resulting in the injury of 22 Palestinians including 2 injuries with live bullets, 6 others by rubber bullets and 14 cases of suffocation due to IOF firing of tear gas grenades, according to the Palestinian Red Crescent Society. Local sources said that PA security forces intervened and handed over the Israeli man to the IOF who raided the town earlier. Israeli soldiers attacked, on Friday afternoon, dozens of nonviolent Palestinian and international protesters, in Budrus village, west of the central West Bank city of Ramallah. The nonviolent protesters marched from the center of the village, while chanting against the ongoing Israeli occupation and escalation, and the illegal U.S. recognition of occupied Jerusalem as the unified capital of Israel. Several army vehicles invaded the town, and started firing gas bombs, concussion grenades and rubber-coated steel bullets at the protesters, and at media outlets. Medical sources said several persons suffered the effects of teargas inhalation and received the needed treatment. 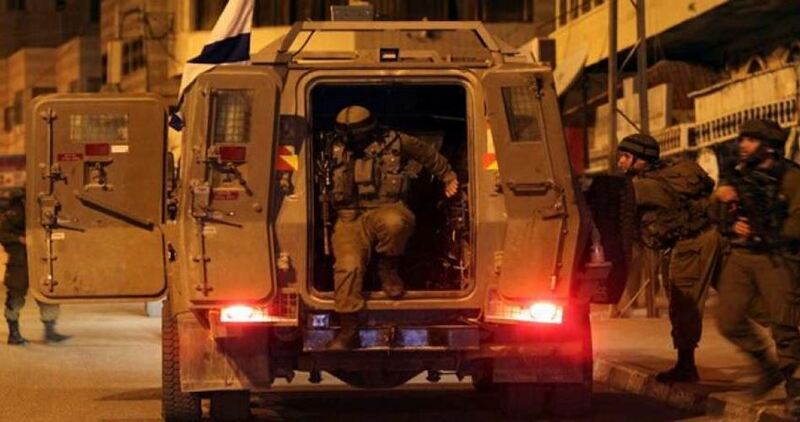 Israeli soldiers injured, Friday, at least twenty Palestinians in the al-‘Isawiya village, in occupied East Jerusalem. 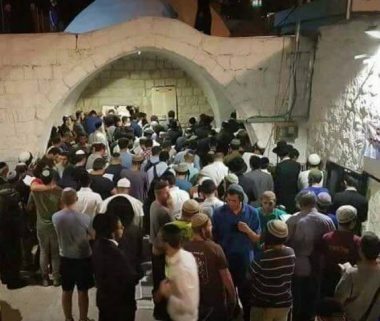 Media sources in Jerusalem said the soldiers assaulted dozens of nonviolent protesters, who marched following Friday prayers at the local mosque, protesting the Israeli violations, and the illegal U.S. recognition of occupied Jerusalem as the unified capital of Israel. The added that the soldiers resorted to the excessive use of force, and fired many gas bombs, concussion grenades and rubber-coated steel bullets. 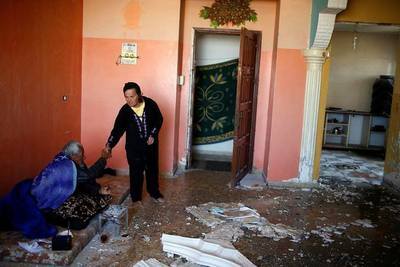 Medical sources said at least twenty Palestinians were injured and received the needed treatment. The Israeli occupation forces on Thursday evening arrested seven Palestinians including five children from Shu'fat refugee camp in Jerusalem and two young men from Arraba town to the south of Jenin. A local source told the PIC reporter that the families of Allam al-Sha'er and Nayef Hardan had lost contact with them on Thursday evening without knowing anything about their fate. The source added that the Israeli forces later informed the families that al-Sha'er and Hardan were arrested at a checkpoint while returning from Ramallah to Jenin. Five children were arrested on Thursday evening during clashes between Palestinian citizens and the Israeli police in Shu'fat refugee camp in Occupied Jerusalem. Eyewitnesses said that the Israeli police set up an ambush for the children before arresting them and taking them to a nearby detention center. They added that the Israeli police closed the military checkpoint at the entrance of Shu'fat camp and blocked movement in both directions causing a suffocating traffic jam for nearly an hour and a half. 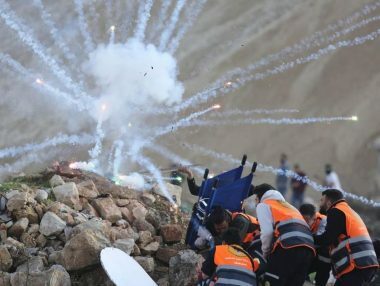 Dozens of the camp's residents suffered breathing difficulties due to the heavy firing of tear gas canisters by the Israeli police, while the Palestinian youths responded by throwing stones and Molotov cocktails at the police forces stationed near the camp's entrance. 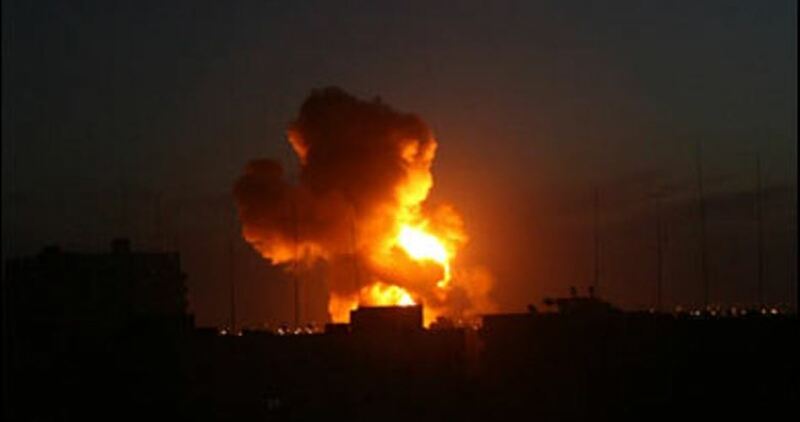 The Israeli occupation army at dawn Friday launched an aerial attack on a Palestinian resistance post in the northern Gaza Strip. A local source said that an Israeli drone fired two missiles at the site with no injuries reported. Shortly before midnight, Israeli media reported that a rocket fired from Gaza had landed on Ashkelon coast without causing damage or injuries. Over the past year, the Israeli warplanes have launched dozens of airstrikes on Gaza allegedly in response to rocket attacks from Gaza at Israeli settlements. The occupation forces arrested on Thursday night five youths from Shu’fat refugee camp during violent clashes that broke out in the refugee camp. 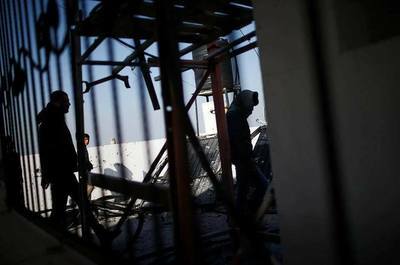 The spokesman of Fateh movement in the refugee camp, Thaer Fasfoos, explained that violent clashes broke out near the military checkpoint in the refugee camp where young men threw Molotov Cocktails towards the monitoring tower in the area. Fasfoos added that the forces heavily fired sound grenades and rubber bullets to disperse the young men, and closed the checkpoint for more than an hour an d prevented locals from entering or leaving the refugee camp. The forces arrested five youths aged between 12-16 years and transferred them for interrogation. A number of Palestinians were kidnapped by the Israeli occupation forces (IOF) at daybreak Thursday in abduction sweeps rocking West Bank provinces. Overnight, special Israeli forces kidnapped three Palestinian young men after they chased down a car near Nablus’s western town of Zawata. According to eye-witnesses, a driver accidently rammed a parked car before undercover Israeli officers showed up in the area and dragged the driver to their jeep at gunpoint. Sometime later, the family of Palestinian prisoner Jamal Abu al-Heija said their eldest son, Abdul Salem, also an ex-prisoner, was kidnapped from the targeted car. 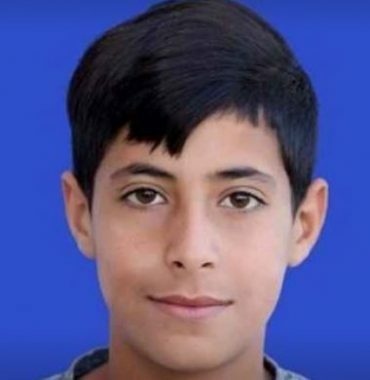 Another son of al-Heija’s, Emad, was kidnapped just a few hours later from the family’s home in Jenin. The occupation forces further broke into the home of the former Minister of Prisoners’ Affairs, Wasfi Qubha, and kidnapped his son Osama. Ex-prisoner Mo’tasem Steiti, the son of the Hamas activist in Jenin Omar Steiti, along with four other Palestinians, were kidnapped by the IOF from the city. 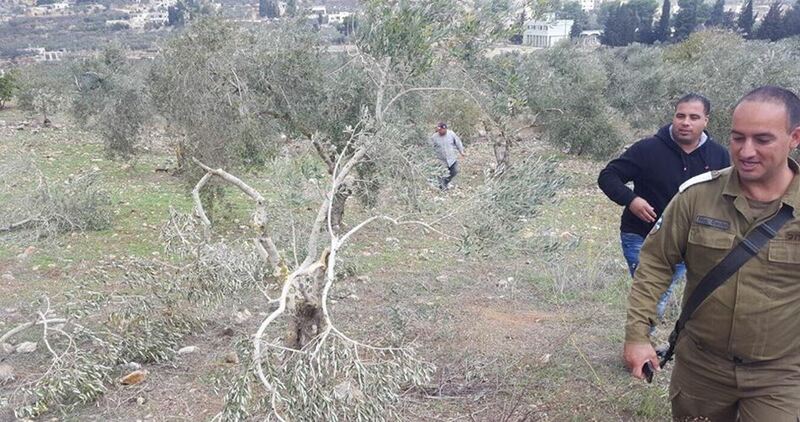 Two young men—Rami al-Bazara, from Nablus, and Wasfi Kubha, from Jenin—were also kidnapped in the process. The sweep culminated in the abduction of at least eight other young men mostly in their early 20s. At the same time, the IOF stormed Qalqilya at the crack of dawn and kidnapped a number of Palestinians, among them a child, identified as 16-year-old Anas Adbah, kidnapped from his family’s home. A state of panic overwhelmed children at their family’s homes after the occupation soldiers smashed entrance gates of civilian buildings. 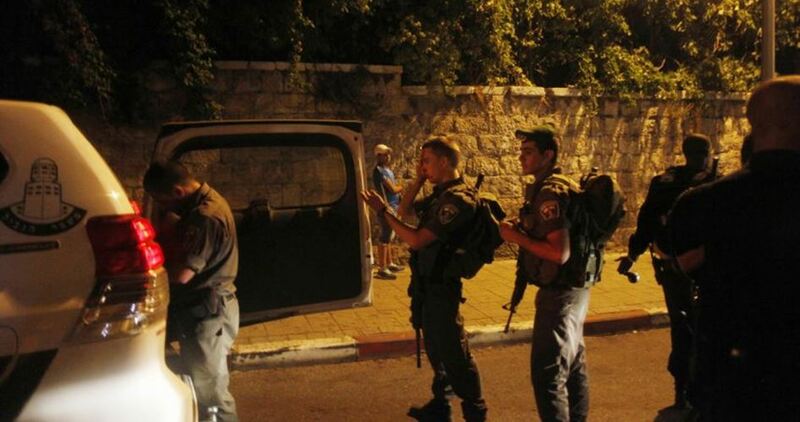 A number of Palestinians were kidnapped by the IOF from their homes following a round of abrupt break-ins. In the meantime, youngster Ibrahim Adawi was kidnapped by the Israeli forces from Qalandiya refugee camp, north of Occupied Jerusalem. Thousands of Palestinians, Wednesday afternoon, attended the funeral procession of a slain Palestinian teenager in al-Mughayyir village, north of Ramallah. The funeral procession set off from the Palestine Medical Complex in Ramallah, making its way to al-Mughayyir, where he was laid to his rest in the local cemetery. Mourners raised Palestinian flags and shouted slogans condemning the Israeli occupation, and threatening to avenge the killing. Among the mourners were Governor of Ramallah Laila Ghannam, member of Fatah Central Committee Abbas Zaki and several representatives of the various security forces and political factions. 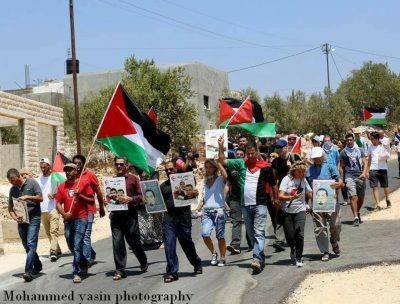 Violence erupted between local youth and Israeli forces shortly before the funeral arrived to the village, according to WAFA. Israeli troops reportedly fired tear gas canisters at the youths. No injuries or detentions were reported, however. 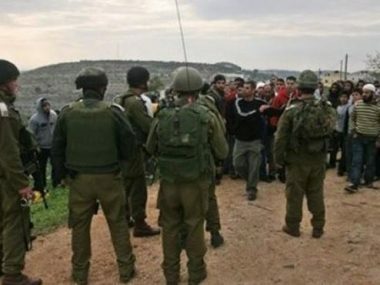 Israeli soldiers, and dozens of colonialist settlers, invaded on Wednesday at dawn, the northern West Bank city of Nablus, and headed towards Joseph Tomb area, and Tal Balata archeological site, east of the city, in addition to Tammoun town, before clashing with dozens of Palestinians, wounding three of them. The invasion was carried out by dozens of army jeeps, and more than twenty buses, after the soldiers surrounded the two areas, and prevented the Palestinians from entering them. Medical sources said the soldiers shot Qussai Ahmad al-Masri, from Nablus city, with a rubber-coated steel bullet in his face, before he was rushed to Rafidia governmental hospital. The Palestinian was shot in Amman Street, after the soldiers invaded it and attacked many Palestinians who protested the incursion. 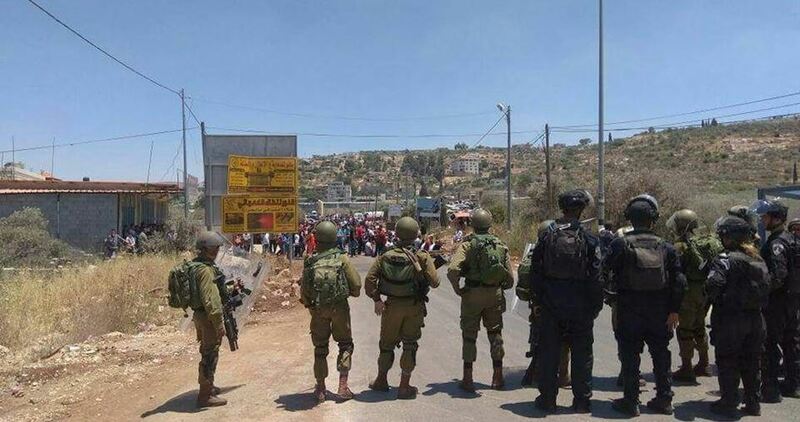 Furthermore, the soldiers invaded Tammoun town, east of Nablus, and shot Rafat Sa’id Bani Odah, 18, with a rubber-coated steel bullet in his leg, and Mohammad Hasan Bisharat, 18, with a similar round in the neck. Both were returning home from their work, and were rushed to Tubas Turkish hospital, suffering moderate-but-stable wounds. 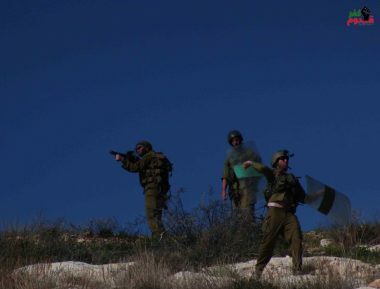 In addition, dozens of colonialist settlers invaded the northern area of Orif village, south of Nablus, and clashed with Palestinians, who hurled stones at them. Israeli sources said that one settler was mildly injured in his face. Israeli soldiers shot, earlier on Wednesday, two young Palestinian men in Jenin refugee camp, and abducted two others in Wad Burqin area, and Jenin city, in northern West Bank. Media sources said the soldiers invaded Jenin refugee camp, and fired many live rounds, rubber-coated steel bullets and gas bombs, at many youngsters who protested the invasion and hurled stones at the army jeeps. They added that the soldiers shot Mohammad Ismael al-Rokh and Ahmad Mohammad al-Amer, with live fire in their legs. Furthermore, the soldiers surrounded and invaded homes in Wad Burqin, and abducted Mohammad Ismael Jarrar. The soldiers also abducted Ahmad Husam Touqan, from Jenin city, after storming the Arab-American University, and forcing him out of his office. In related news, the soldiers surrounded many villages and towns in the governorate, while a military surveillance drone, and a surveillance balloon, flew over Palestinian areas, east of Jenin. Fierce clashes burst out on Tuesday evening in Nablus’s southern town of Ourif after the Israeli occupation forces and settlers came down heavily on Palestinians living in the area. According to eye-witnesses, Israeli settlers showed up in ourif and attacked Palestinian citizens and homes. 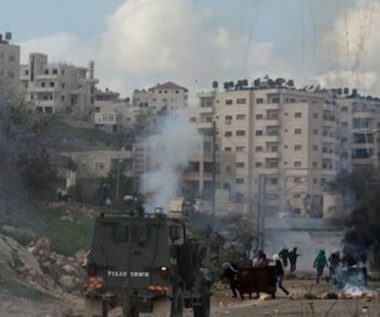 Violent clashes broke out between the Israelis and the locals. The occupation soldiers attacked the Palestinians with randomly-unleashed spates of teargas canisters and acoustic grenades. 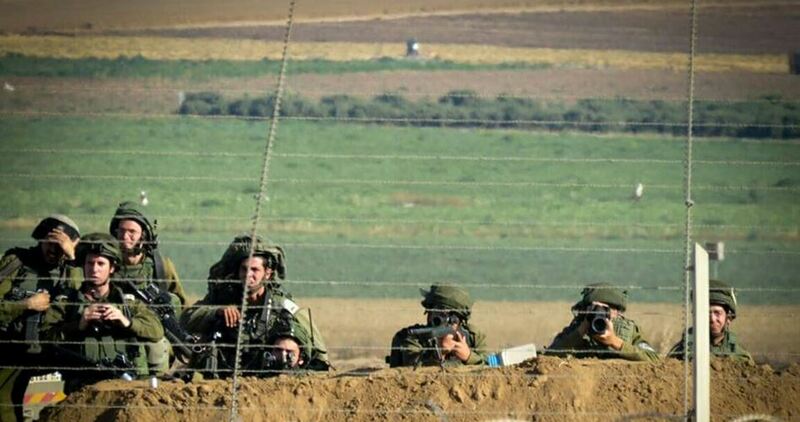 Israeli Occupation Forces (IOF) on Monday opened machinegun fire at Palestinian agricultural lands east of Rafah city south of the Gaza Strip. The PIC reporter said that Israeli military watchtowers positioned east of Rafah targeted Gazan farmers while working in their farms in the area. However, no injuries were reported, according to medical sources. Rafah farmers on Monday returned to work in their lands by the assistance of the International Committee of the Red Cross for the first day after being banned from farming in the eastern areas for 12 years. The Israeli occupation forces (IOF) at dawn Monday arrested 18 Palestinians in campaigns launched in various West Bank provinces. The PIC reporter said that the IOF soldiers arrested two Palestinian youths in Jenin refugee camp after raiding and searching their houses. 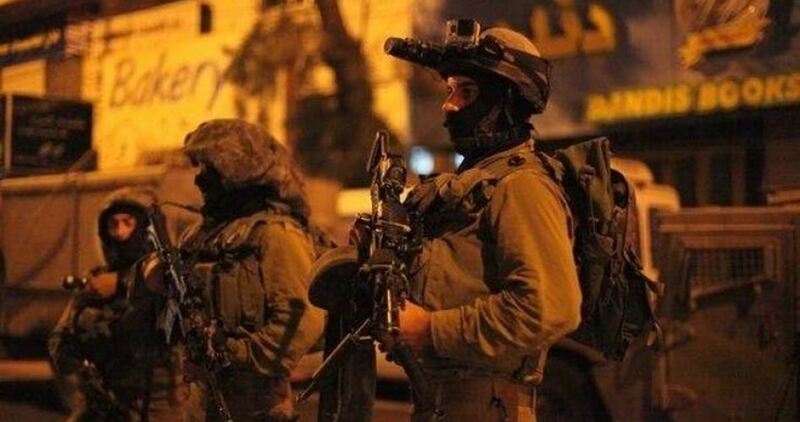 Large-scale raids were launched by the IOF in Burqin village near Jenin refugee camp for the second week in search for the Palestinian resistance fighter Ahmad Jarrar. Three Palestinian young men were injured in violent clashes between Palestinian citizens and IOF soldiers at night in Beit Furik town to the east of Nablus. 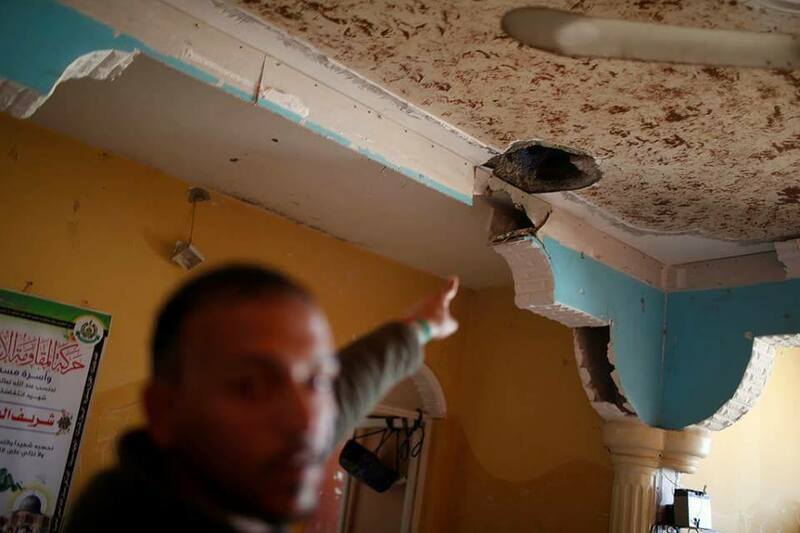 Medical sources reported that a Palestinian young man was injured by a live bullet to the foot and another was wounded by shrapnel in the shoulder while a third was hit with a sound bomb in the head. The three youths were transferred to a local medical center for treatment. Local sources told the PIC reporter that the clashes broke out after a large number of Israeli military vehicles stormed the town amid heavy firing of live bullets, sound bombs and tear gas canisters. 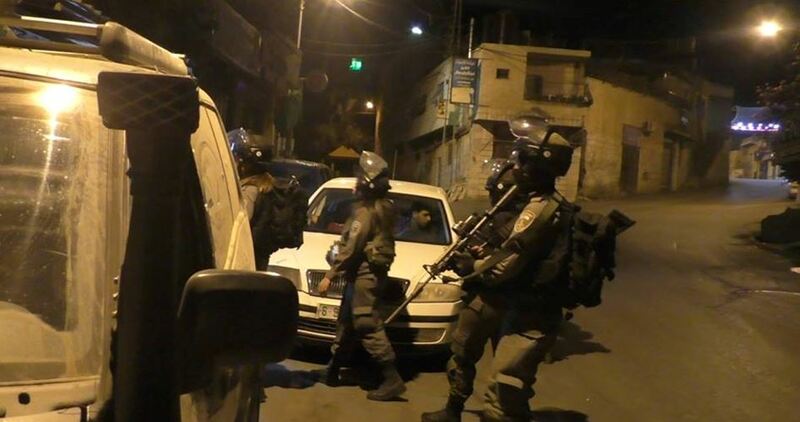 Several arrests were reported in IOF raids targeting al-Khalil, Bethlehem, Qalqilya, Jerusalem, Ramallah and Tulkarem. Israeli forces on Sunday raided a primary school near the Ibraimi Mosque, in al-Khalil’s Old City, and searched it in the hunt for alleged stone-throwers. 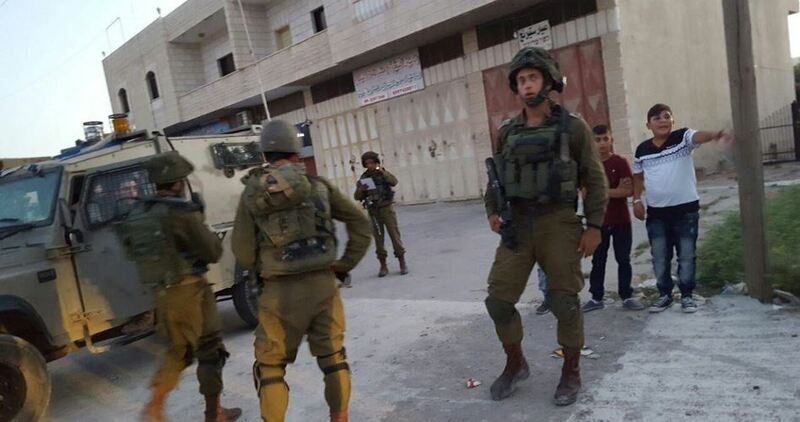 Sources told a PIC reporter that Israeli soldiers raided al-Ibrahimiya primary school in the Old City, and searched the classrooms under the pretext of searching for 'wanted’ stone-throwers. Israeli army regularly carries out assaults on Palestinian schools and educational facilities across the occupied West Bank in a serious violation of international law and students' right to pursue education in a safe environment. Violent clashes erupted in different areas of the West Bank during raid campaigns launched by the Israeli occupation forces (IOF) at dawn Sunday. A Palestinian young man was injured in the clashes that broke out between Palestinian youths and the IOF after the latter raided Beit Rima village in Ramallah province amid heavy firing of sound bombs, tear gas canisters and live and rubber bullets. 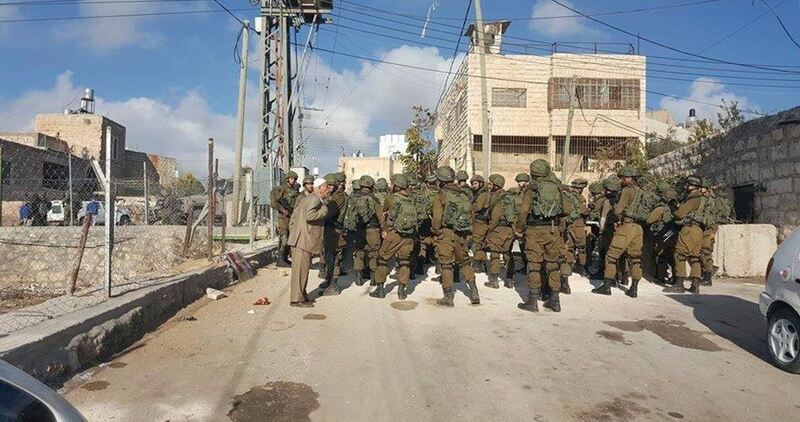 The IOF soldiers withdrew from the village after handing a number of Palestinian youths interrogation summonses. Meanwhile in Jenin, the IOF arrested a Palestinian citizen after breaking into his house and searching it in al-Hashimiya town to the west of the city. Local sources told the PIC reporter that Israeli special forces were deployed in large numbers in the area. Eyewitnesses told the PIC reporter that several IOF patrols at night Saturday stormed Burin and Madama villages to the south of Nablus after a group of Palestinian youths set tires on fire on the bypass road between the two villages. In another context, angry Palestinians in Tulkarem refugee camp protested on Saturday evening the arrest of a number of Palestinian youths a few days ago in a campaign carried out by the Palestinian Authority security forces. The PIC reporter said, quoting local sources, that the Palestinians set tires on fire causing a traffic jam at the camp's main entrance.